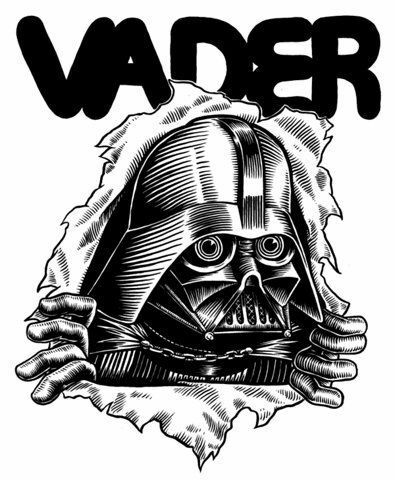 With videos, editing, cinematography, music, board graphics, etc...skateboarding culture has a big space reserved for art. And art of the best kind, that is not (as) corrupted by commerce and pretentious bs. 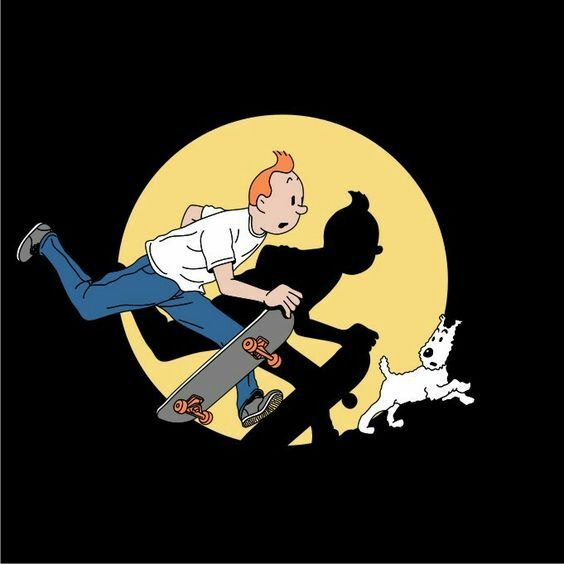 ^ Tintin would totally be a skater imo. 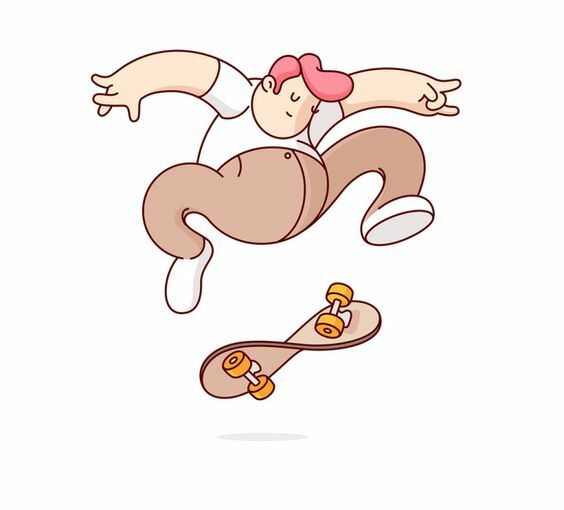 ^ Way to capture the kick-flip! 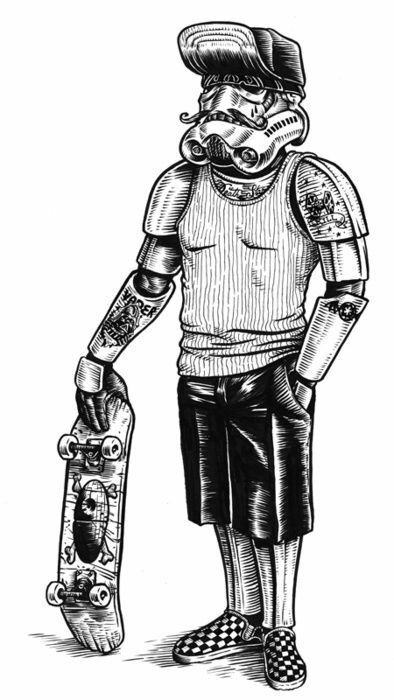 ^ Skater storm trooper. May not be able to shoot anything but hits the park all the time. ^ Good ride to you, too, gentle sir! 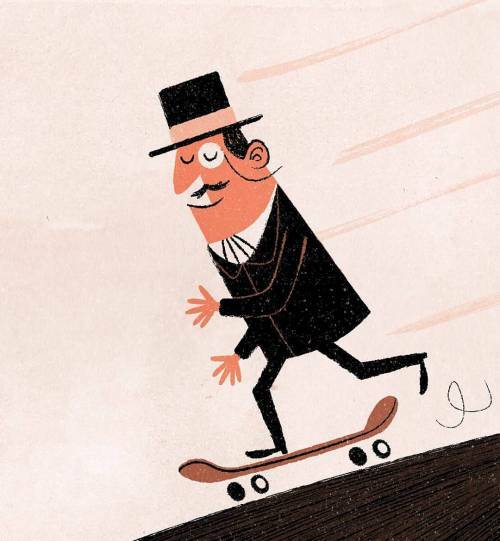 Skateboarding in the 70s, Hugh Holland "Locals Only"